"Can things be deprived of their origins?" A challenging portraitist and emerging creator with a conceptual thinking. Huszti elaborates his constantly changing topics with momentum and precision. He depicts historical times, special characters and places from the past, using all kinds of materials to express his interpretations. In addition he is also interested in contemporary street art. His art consists of attributing new origins to things thus establishing new relations. 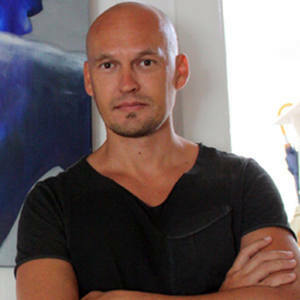 He had got his diploma at University of Pécs, as a painter in 2005. Hungary. He spent one term at University of Hertfordshire, Hatfield, England. It was an experimential learning particularly regarding the conceptual art. He has been working in a professional studio at PP Center in Budapest for more than four years. Meet there the Hungarian Contemporary art scene each day, especially Budapest based artists and curators.